Book tickets to 'India Dancing Superstar-2018-(Season-2)' IS BACK WITH A BANG!! 'India Dancing Superstar-2018-(Season-2)' IS BACK WITH A BANG!! 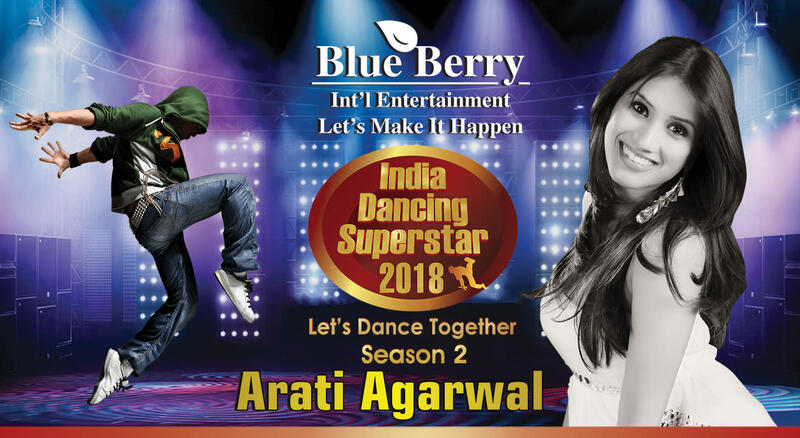 'India Dancing Superstar-2018-(Season-2)' IS BACK WITH A BANG!! This time it is much more bigger and better as it is going to 30 cities across India for auditions. For those who eat, breathe, sleep to Dance then this is an incredible entertaining show searching for the real talent who has the potential to be the future of dance .The winner will be given a special chance to perform in a Bollywood concert with a Celebrity on the main stage with full expense paid trip by the Organizer of the show. And many more prizes worth lacs will be given to all the winner's, Red carpet ceremony with a Bollywood Live concert. Live Interview with Radio, TV, Newspaper, Magazines ,Digital Media etc.